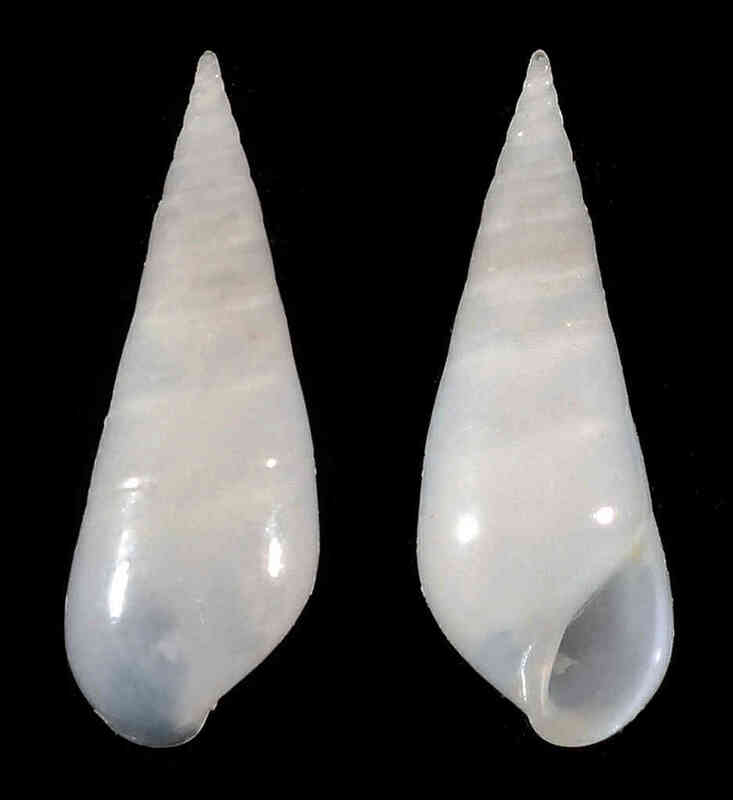 Shell size to 11 mm, shell white, highly glossy. Protoconch pointed, sometimes tilted. Shell straight sided, sometimes slightly curved. Outer lip not flared in lateral view. Do not confuse with co-occurring species Melanella hypsela, which has a more delicate shell with a flaring (in lateral view) outer lip. Sometimes with slightly wider body whorl (as in the illustration). Immature shells with angled body whorl periphery.